SHE has seven distinctions in Mathematics, English, Science, Biology, Geography, Commerce, Food and Nutrition at grade 12. But opportunities for the 21-year-old Livingstone girl to study medicine hang on a thread unless she gets over £10,300.00 financial assistance. This is the story of Tivwale Nyirenda of Livingstone’s Maramba Township who needs over £10,300 to study medicine. In this interview, the emotional Tivwale promised that if assisted, she would use her career to empower other vulnerable girls who could not access educational funding to attain their dreams. others like me get financial help to pursue their dreams,” Tivwale says. She says her mother, Astridah Zulu Nyirenda, has been to various private and public institutions in a quest to get help but to no avail. Tivwale says her effort to get financial assistance from Response Network, a non-governmental organisation working in Livingstone, Kazungula, Zimba and Kalomo, that is currently assisting vulnerable girls attain their education also hit a snag as the organisation is this year only assisting Grade one vulnerable children. She says life for her and her two younger siblings is not easy as her mother, a house maid, is not financially stable. Tivwale, who was with her mother during the interview, says she would dedicate most of her time attaining her dream to be a medical doctor. “I want to dedicate my free time as a volunteer and also strive to offer scholarships to other vulnerable girls and also offer ideas on how to improve rural health care delivery to the government instead of just relying on mobile hospitals that are currently being used,” she says. 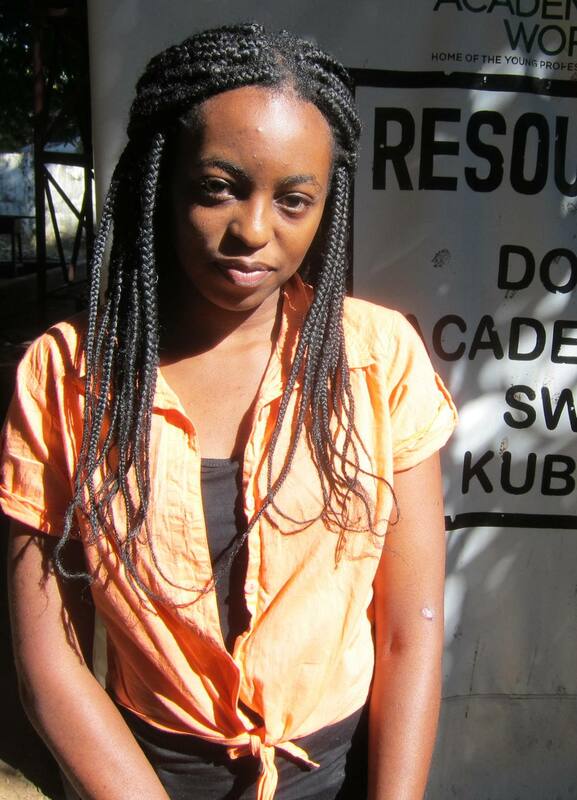 Tivwale, who was born in Mufulira on December 9, 1997, did her primary education at Namatama Primary School in Livingstone where she scored Southern Province’s second highest mark at Grade 7 and was selected to go to St Josephs Secondary School where she wrote her Grade 12 examinations in 2015. Holding back tears, she says attempts to get government bursaries had failed. overall band score of 7.5. And her mother, Astridah, says she has been to the Cabinet Office, Ministry of Finance, Home Affairs and the Bursaries Committee only to receive assurances of possible assistance. “I have tried all avenues apart from State House but I only receive assurances. My fear is that she is growing up and if no assistance for her to pursue her studies comes soon, she will not attain her dreams. I am a house maid and I can’t afford to meet her university requirements in terms of fees. I don’t want her to miss this chance of wanting to be a medical doctor,” says Astridah. A World Bank report reveals that girls’ education is about ensuring that girls learn and feel safe while in school; complete all levels of education with the skills to effectively compete in the labour market; learn the socio-emotional and life skills necessary to navigate and adapt to a changing world; make decisions about their own lives; and contribute to their communities and the world. The World Bank adds that poverty remains the most important factor for determining whether a girl can access an education.